David Castro a graduate of Haverford College (1983) and the University of Pennsylvania Law School (1986). In 1993, following a successful career both in private practice and as a Philadelphia prosecutor, David was awarded a Kellogg Foundation National Leadership Program Fellowship. As a Kellogg Fellow he studied community leadership and its relation to improving quality of life. Based upon this work, working with his mentor and colleague Lynne Abraham, in 1995 David founded I-LEAD, Inc., a school for community leadership development that has served several thousand emerging leaders across Pennsylvania through its affiliation with Pennsylvania Weed and Seed, and its development of an accredited Associate Degree program in Leadership. David is also one of the founders of I-LEAD Charter School, a high school that combines leadership development with academic remediation serving at-risk high school age youth in the economically challenged city of Reading, Pennsylvania. In 2002, in recognition of David‘s work on behalf of Pennsylvania communities, he was awarded an Eisenhower Fellowship, which he used to study leadership and its impact on economic and community development in Turkey. In 2009, in recognition of David‘s work in community leadership and education, he was named an Ashoka Fellow by the Ashoka Global Funds for Social Change. Ashoka is an international community of the world’s leading social entrepreneurs. 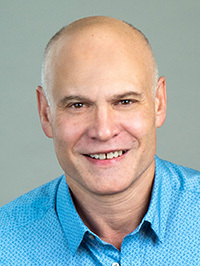 David is a teacher at heart, frequently consulted as a speaker, serving on panel discussions and contributing regularly via blogs and articles posted through the Ashoka network, the Kellogg Leadership Alliance and the Philadelphia Social Innovations Journal. David is the author of Genership: Beyond Leadership Toward Liberating the Creative Soul, now available in print and e-book formats. He is also the host of Innovate Podcast, a biweekly podcast featuring dialogue with social entrepreneurs, writers, visionaries and researchers engaged in transformative thinking, action and creative collaboration. Innovate has featured renowned guests such as Kailash Satyarthi, winner of the 2014 Nobel Peace Prize. Innovate is produced by Ashoka, the Kellogg Fellows Leadership Alliance, the Philadelphia Social Innovations Journal and I-LEAD. Innovate is sponsored by Arch Street Press.